Despite the growth of Cambodia’s tech industry, few women have joined the field. Longtime Cambodian tech observer Sok Sikieng says that although more women have joined the profession in recent years, there remain significant factors hindering women from reaching their tech potential. 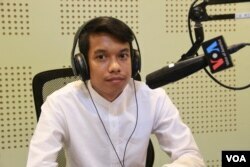 Sikieng, a tech ambassador and lecturer of information technology at the Royal University of Phnom Penh, told the Hello VOA (Khmer) radio program last week that the increase in women working in the technology sector has not encouraged more young women to study tech-related subjects at universities. Among 1,500 students who chose information and communications technology (ICT) at the Royal University of Phnom Penh in 2014, less than 10%, or just 105, were female, says Sikieng. The expert, who has worked in the field for almost ten years, lays the blame on a lack of self-confidence, family and social stereotyping, and lack of role models. Cambodia has recently pivoted to the so-called STEM subjects (science, technology, engineering, and math) to better position the country’s workforce for an economy of the future, based on technology. Sikieng herself admitted she chose the subject by chance rather than through a long-held passion. She says the main reason for the lack of enthusiasm is that many female students do not believe they can succeed in the subject. 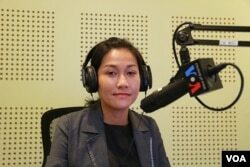 Ms. Sok Sikieng, Technovation Ambassador in Cambodia and Lecturer of Information Technology at Royal University of Phnom Penh discusses "Opportunities and Challenges for Cambodian Women in Tech" on VOA Khmer’s Hello VOA “New Voices”, Monday, May 16, 2016. Another factor, says Sikieng, is discrimination by family and society, which sees the tech sector as primarily the domain of men. She tells Hello VOA that, in her case, encouragement from her parents and brothers bucked this apparent trend. 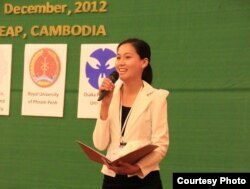 Another factor, she says, is the lack of Cambodian role models who can defy the stereotypes. This workplace stereotype is not unique to Cambodia’s fledging tech sector, and can be challenging even in well-established technology communities in developed countries. In the United States, research by the American Association of University Women found that the number of women working in computing fell from 35% in 1990 to just 26% in 2013, while women constitute only 12% of all engineers. This decline came despite the fact that women have become more prominent in other fields, such as medicine, law, and business. Sikieng says that she has not noticed similar drop in Cambodia as discrimination seems to occur more in the classroom than at the workplace. Khiev Sokmesa agrees that the increase in Cambodian women working in the technology sector has helped change the attitudes of their male colleagues. Khiev Sokmesa, a senior software developer at Phnom Penh-based InSTEDD iLab, has worked in the Cambodian tech industry for many years. He agrees that the increase in Cambodian women working in the technology sector has helped change the attitudes of their male colleagues. Sikieng says that Cambodian women such as herself, who can overcome those societal challenges, are rewarded with numerous opportunities in a currently uncompetitive field. More importantly, those women will become role models and encourage female students to become the tech pioneers of the future.